Question 1: What are the benefits and responsibilities of attending the Golden Spoon contest? 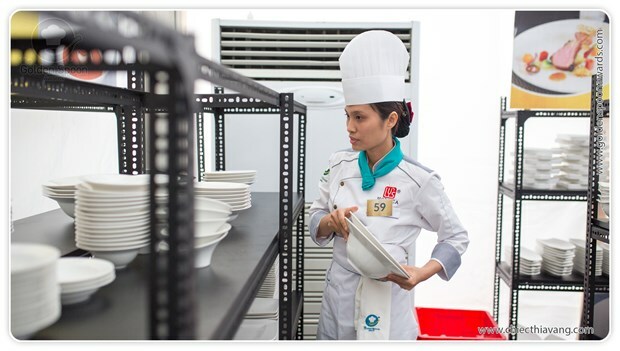 Contestants have the opportunity to demonstrate and hone their skills, exchange and learn from other chefs representing regions throughout Vietnam, improve their knowledge and career, receive advice from domestic and international industry experts. 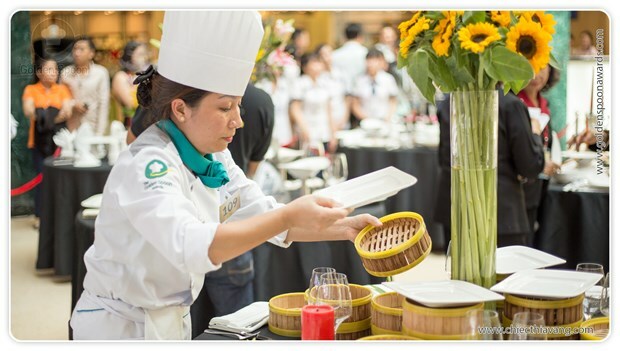 Information about chefs and the outlets they represent will be widely promoted, including continuous updates on the official website, displayed on all communication channels, newspapers and social media. 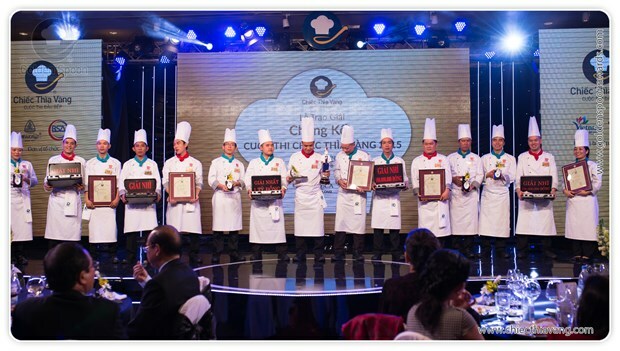 Contestants must follow the rules and regulations of the organizers: Provide information about contestants, menu as well as support organizers when needed; follow correctly all other regulations from the organizers. Question 2: What paperwork is necessary to receive the award? In order to receive the award, the lead team member must sufficiently provide paperwork as laid out by the organizers and mentioned in the contest regulations. Additionally, the certificate validating the award of the prize must also be submitted. The Golden Spoon contest honors excellent individuals, therefore the prize will be awarded directly to the lead chef of each team. However, organizers will not intervene with how the outlet, chef and team choose to arrange the prize amongst themselves. Question 3: When will the winning teams receive their award and prize? Teams must follow the procedure laid out by the organizers and will receive it upon completion of the entire contest. Awards given in cash can be wired directly to the contestant team’s bank. Award and prize money is awarded immediately after the contest has finished. Question 4: If I am located in region A but want to register to attend the contest in region B, is it possible? To ensure fairness in the competition, the teams can compete only in the region that has already been defined (please refer to chapter 4). However, if the contestant would like to change to another region, please write to the organizing committee clearly stating the reason. This letter should be certified by the contestant’s company or institute, and sent at least 10 days prior to the contest. 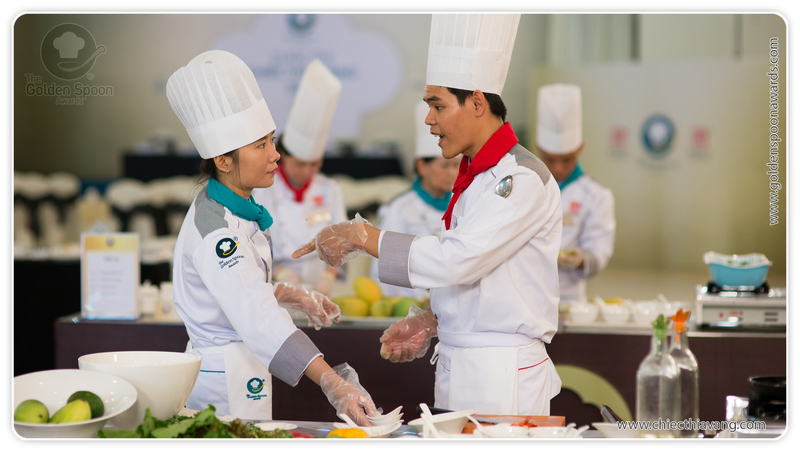 Contestants from the Mekong Delta region discuss in the preliminary round of the 2015 Golden Spoon contest. Question 5: Can contestants use their telephones during cooking time? To ensure fairness to all teams participating in the competition, mobile phones must not be used during the cooking time. In cases of emergency, a contestant should inform and ask permission from the organizing committee to be allowed to use their telephone. Question 6: Can contestants supply their own party tables? Organizers will prepare the party tables and table cloths for all teams. Organizers will inform the shape and size of party table to the teams seven days in advance of the competition. Question 7: Will the organizers provide spoons and chopsticks for the contestants? The organizers will prepare ceramic spoons and chopsticks for contestant teams that must be displayed on the party table. If any team does not have need to use those provided by the competition, they are allowed to bring their own. Question 8: Will the organizers prepare kitchen tools for the contestants to cook with? What tools and equipment are the teams allowed to bring to the contest? Organizers will provide each team a fully fueled gas stove and sink and cleaning material, ceramic products used to display dishes and a shared coal stove within the arena. Teams are allowed to bring knives, chopping board, pots and decorations for the party table. If contestants wish to bring equipment uses electricity or occupies space within the cooking area then they should organize in advance with the committee. Question 9: Can contestants trim vegetables in advance to be used in presentation? In the preliminary round and semi-final contestants are allowed to trim vegetables in advance. In the final round, however, all ingredients will be provided only at the time of the competition. They must be selected from the market provided by the organizing committee and cannot be prepared in advance. Question 10: In the final round, can chefs change their menu after visiting the market if unable to find suitable spices? In the final round all teams have 30 minutes to create their menu, complete the presentation and 30 minutes to go to the market. Within this time frame if the team couldn’t find suitable spices or ingredients in the market they can change their menu. 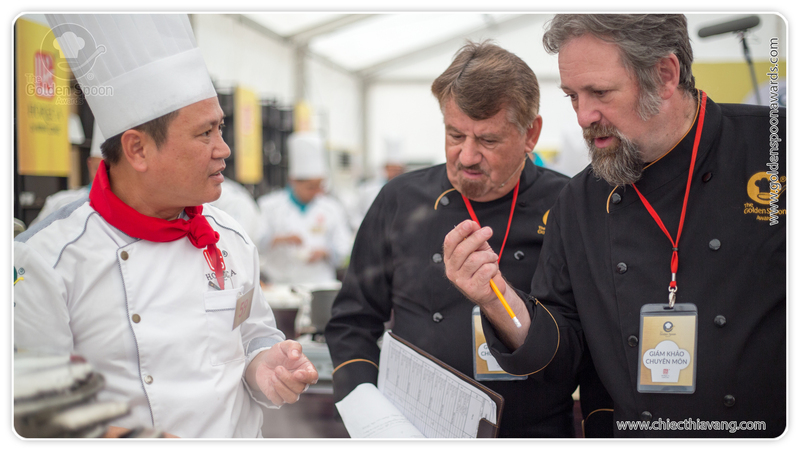 Question 11: When attending the contest, the website is updated for attending outlets, chefs and submitted dishes. Who takes the decisions on what information is updated as the contest continues? Because chiecthiavang.com is an open website so people who like culinary still be able to participate into voting. Comments of voter also will be considered by organizers and taken into account for evaluating the dish. For further questions please send questions via support@chiecthiavang.com or add your comments below. All questions will be answered accordingly by organizers, foods experts, consultant board and judges who have experience in the Golden Spoon contest.